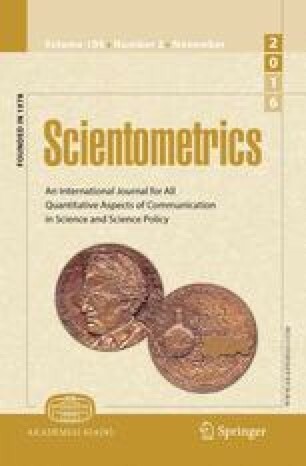 In recent years, many disciplines have begun to adopt more systematic and standardized approaches to evaluate the impact and development of a research area with a stronger emphasis on quantitative techniques. In particular, identifying and analyzing the published literature have become important exercises for many disciplines and methods such as systematic literature review and bibliometric analysis have become more regularly used to obtain a deeper understanding of a research area. One concept that is of particular interest is the maturity, or level of development, of a research area. While this concept has been mentioned in many works, it has not yet been formalized, resulting in a lack of consensus concerning the definition of research area maturity and analysis techniques to assess maturity. Therefore, most assessments of research area maturity consider only a subset of the possible criteria with significant differences in the metrics and analyses used among different disciplines. Due to the inconsistencies in the definition and assessment of this concept, a comprehensive synthesis of this literature area is needed. This paper presents the results of a study to identify and analyze the literature, define the maturity of a research area, and synthesize the criteria for assessing maturity. The results are used to develop a generalized maturity assessment framework that establishes a comprehensive set of criteria, which can be adapted for use across a variety of research areas. Borenstein, M., Hedges, L. V., Higgins, J. P. T., & Rothstein, H. R. (2009). Introduction to meta-analysis. doi: 10.1002/9780470743386. Campbell Resource Center. (n.d.). Retrieved January 23, 2015, from http://www.campbellcollaboration.org/resources/resource_center.php. Carlile, P. R., & Christensen, C. M. (2004). The cycles of theory building in management research, version 5.0, Harvard Business School Working Knowledge. http://www.hbs.edu/rcscarch/pdf/05-057.pdf. Accessed 21 March 2011.
Cooper, H., & Hedges, L. V. (2009). Research synthesis as a scientific process. In The handbook of research synthesis and meta-analysis (pp. 3–17). Retrieved from http://books.google.com/books?hl=en&lr=&id=LUGd6B9eyc4C&oi=fnd&pg=PA3&dq=RESEARCH+SYNTHESIS+AS+A+SCIENTIFIC+PROCESS&ots=5MEJyT_n6P&sig=QS5-Jcd7-Wzvo8pxzZD0ktb33SM. Higgins, J., & Green, S. (Eds.). (2011). Chapter 4: Guide to the contents of a Cochrane protocol and review. Cochrane handbook for systematic reviews of interventions. The Cochrane Collaboration. doi: 10.1002/9780470712184. Karuga, G., Lowry, P., & Richardson, V. (2007). Assessing the impact of premier information systems research over time. Communications of the Association for Information Systems, 19, 115–131. Retrieved from http://aisel.aisnet.org/cgi/viewcontent.cgi?article=2650&context=cais. Lim, J., Rong, G., & Grover, V. (2007). An inductive approach to documenting the “core” and evolution of the IS field. Communications of the Association for Information Systems, 19(32), 665–691. Retrieved from http://aisel.aisnet.org/cgi/viewcontent.cgi?article=2675&context=cais. Moody, D. L. (2000). Building links between IS research and professional practice: Improving the relevance and impact of IS research. In Proceedings of the twenty first international conference on information systems (Issue 1, pp. 351–360). Retrieved from http://dl.acm.org/citation.cfm?id=359640.359760. Patra, S. K., Bhattacharya, P., & Verma, N. (2006). Bibliometric study of literature on bibliometrics. DESIDOC Bulletin of Information Technology, 26(1), 27–32. Retrieved from http://search.ebscohost.com/login.aspx?direct=true&db=lxh&AN=23638785&site=ehost-live.